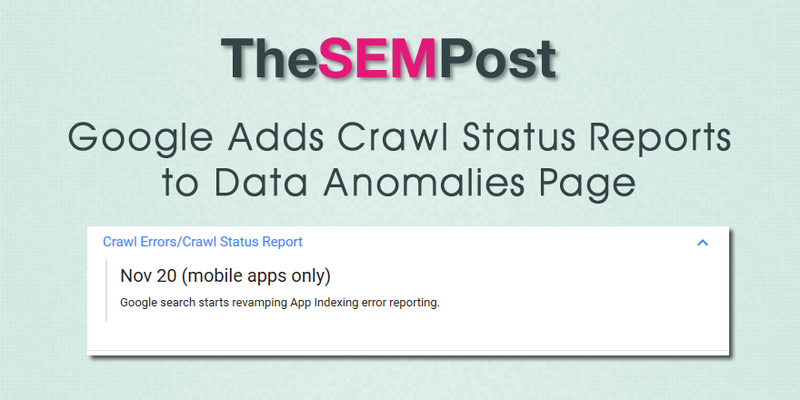 Google has renamed the former “Crawl Error Report” to “Crawl Errors/Crawl Status Report” on their Data Anomalies page. 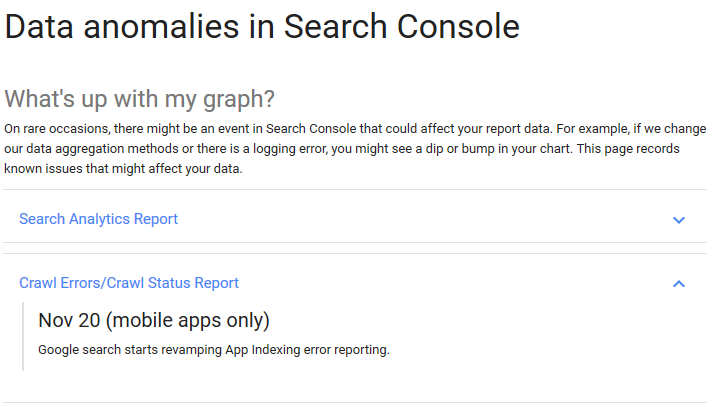 Google uses this page to alert users to updates, changes or issues with various Search Console features and reports. Nothing has been added to the newly renamed section. So it could be just a general housekeeping change to ensure the section includes both crawl errors and crawl status reports. Or we could see something show up in the near future. 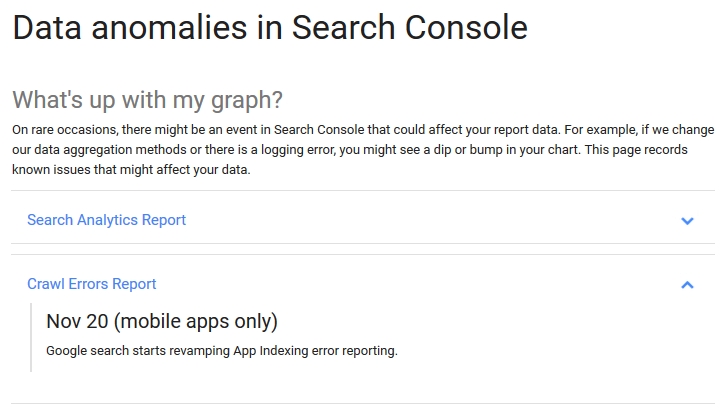 Google added the Data Anomalies page last year, but didn’t add the specific crawl report reference until December.